The Global ALE High Frequency Network (HFN) is a system of ALE base stations with internet connectivity. Each HFN Pilot Station is rapidly scanning the ALE Primary DATA Channels of the ham bands 3.5MHz to 28MHz every 10 seconds, monitoring for calls, and sounding with station identification callsigns approximately once per hour. 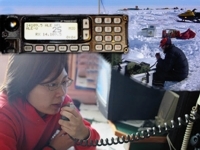 Ham radio ALE operators anywhere within the coverage area, may link with an HFN Pilot Station on HF, and send or receive short text messages via email or phone texting SMS. Access to HFN Pilot Stations for internet services is limited to ham radio operators, holding a valid license of any country for HF operation. To use HFN services, first join HFLINK free, get your HF transceiver and computer set up with the latest free ALE software. 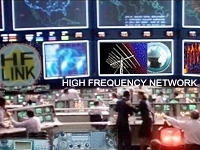 ALE activity on the air, around the world, is automatically reported in real time by HFN stations on ALE CHANNEL ZERO. About HFN. 26 June 2007 - A team of radio operators successfully deployed the first 6 base stations on the air, as Phase 1 of the global constellation of Pilot Stations, in the new ham radio ALE HF Network. The HFN Pilot Stations are equipped with scanning ALE transceivers, multiband antenna systems, and special software control systems for internet connectivity. Ham radio ALE users in the field on HF connect with the HFN Pilot Stations to exchange digital ALE-SMS text messaging to and from internet devices such as cell mobile phones, black berry type devices, PDAs, PCs and laptops. Since then, the network has been expanding globally and adding more features. ALE users also relay ALE messages to other ALE HF users via the same system. 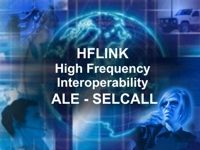 ALE via HFN network is interoperative with the international ham standard email Emcomm backbone, the Winlink network. * frequency 7102 and 10145.5 may not be available in some areas. See map for details. See ALE Channel Zero for current status of each HFN Pilot Station. ©2000, 2001, 2002, 2003, 2004, 2005, 2006, 2007, 2008 HFLINK, div of HFpack, Inc. All Rights Reserved.